Hung Yen (VNA) – A photo contest on the environment in Vietnam was launched in the northern province of Hung Yen on May 20. The event, themed “Living in harmony with the environment” was held by the Vietnam Environment Administration (VEA) under the Ministry of Environment and Natural Development and the Vietnam Association of Photographic Artists (VAPA). 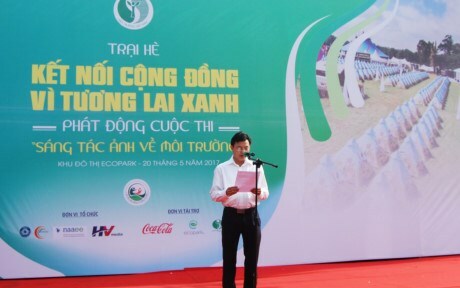 According to VAPA President Vu Quoc Khanh, as the contest aims to raise public awareness of environmental protection, entries should focus on reflecting nature’s beauty, biodiversity, people living in harmony with the environment and efforts to protect the environment and respond to climate change. The impacts of environmental pollution on people’s health and actions harming the environment should be also reflected through the entries, he said. The contest held for both Vietnamese people and foreigners who live in Vietnam. Photos should be submitted to the VEA, No.556, Nguyen Van Cu Street, Long Bien district, Hanoi or the contest’s fanpage www.facebook.com/ongkinh.moitruong by October 20.